It’s Author Interview Thursday and I’d like to thank you for stopping over today. First of all, I’d like to wish all American readers and fans of this blog based in the U.S. and around the world a very Happy Thanksgiving. I hope you’re having a lovely day with your loved ones. I promise you’ll enjoy the spread laid out today. In the hot seat on this glorious day is a wonderful lady who is fondly known as ‘Grammy Pags.’ I’ve been so inspired by her energy and passion for life in the lead up to today’s interview. She has the biggest heart is always willing to help her fellow authors achieve their goals. She’s written several books and has attended various events and schools to do readings and sign books. She has so much to share with us today, so do get into your most comfortable position and join me in welcoming Rhonda Paglia. Hi David, thank you for inviting me to be part of your Author Thursday Interview. 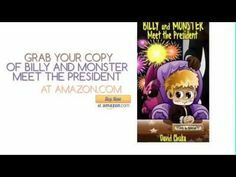 I’m honored, and congratulations on your new book, Billy and Monster’s Golden Christmas that is coming out soon! Congrats!!! You are prolific!! I’ve been married to my sweet husband, Tony, for 41 years. We have three grown children, five adorable grandchildren, and little Yorkie-poo named Bella. She’s my shadow. I’m a retired elementary teacher, [I taught 26 years], and now I’m a Grammy babysitter, a flower planter, a musician, a tap dancer, and a self-published children’s author. I must add that growing up, I had NO confidence in my writing! NONE! ZIPPO! My writing was so bad that in 7th grade, when our English teacher gave us a story writing assignment, my mother ended up red-lining and rewriting everything I had written. I would have gotten an F on my story, but she earned an A. I was so embarrassed. I couldn’t look at my teacher for the rest of the year. It was awful! I was living a lie every day I walked into his class. Thankfully, I’ve come a long way in my writing confidence. What can a reader expect when they pick up a book written by Rhonda Paglia? I’m still in the process of learning and developing my “niche.” I’m just writing for fun. I have learned a lot in the last two years, and I’m getting and understanding the process more. My hope is that readers will enjoy my stories and come away with a little glow in their hearts and a little tickle in their tummy. I want kids to learn something and to stretch their imaginations and creativity. For example, in my crazy little book, Doonsey’s Beach Adventure, the Great Rescue, kids will find a hero in Doonsey. They will also learn about his new friends, the “Beach Buddies.” Our family went on a vacation to the beach. We “met” Doonsey there. Then I started seeing faces in the sand that were made out of the shells and stones. My granddaughter, Sofie, and I started making a bunch of faces and the “Beach Buddies” were born! We used shells, stones, crab claws, and other items we found on the beach. The “Buddies” ended up as characters in the first Doonsey book and they will reappear in Book 2. Kids can learn to make their own Buddy characters with things they find in nature, not just stones and shells. What role would you say social media plays in building an author’s platform and have you found it helpful in marketing your books? I’m new to the “book business” too, but everything I’ve read, indicates that Social Media has a huge impact on getting your name “out there.” So I tweet, toot, blog, Facebook, website, and get Linkedin, as often as possible, but always feel behind. It’s a time issue for me, as I’m sure it is for most authors. Is marketing on Social Media helpful? Who knows? I’ve sold books on line, but most of my sales success has been one-on-one, face-to-face, book signing events. It’s fun too! This is a tough one, so my answer is simple. A GREAT book has ALL the pieces: characters, plot, setting, illustrations. The Little Golden Books series, Caps for Sale, Country Mouse and City Mouse, Ali Baba and the 40 Thieves, and all of the classic fairy tales. I read the Wizard of Oz until the pages were falling out. Our nearest library was miles away, but every once in a while, we were allowed to buy a comic books at the grocery story. I loved the adventures of Little Lulu, Dot, and Casper the Friendly Ghost. And then there is dear Dr. Seuss. When his books became available, I loved them. Later I branched out to the Nancy Drew mystery series and some biographies, but mostly, I loved the books that would send me away on adventures. Dr. Seuss. I love the freedom of his language usage. I love the rhythm and cadence of his words. I love his stories, characters, and how he moves the plot. Such fun and imagination! I will never be a Dr. Seuss, but with my musical background, I find myself using rhythm and rhyme when it’s appropriate. In my yet to be released book, “Grammy’s Rockin’ Color Rap-a-licious Rap” – Grammy’s looks prim, proper, and sophisticated, but she’s really a closet rocker! How do you reward yourself once your book is published? I’m still very new at all of this – and currently, I’m self-published. However, the fact that my ideas and my works are in my hands, in a form, that I can share with others, is a huge reward. Like, “Phew! I did it!” The “no confidence – non-writer – F’s on story-getter – me” is now writing and publishing stories. I never thought that would happen – certainly not the 7th grader sitting in English class lying to my teacher about a paper my mother wrote for me! #Iamwriting! That’s a biggie reward! I wrote “Doonsey’s Beach Adventure, the Great Rescue” and created a companion coloring activity book for my grandchildren. It was a Christmas surprise last year. My heart just beamed! Not only did I write a story and publish it for them; I got to be around to read it to them and get their reactions. Big time reward! Toy Story. 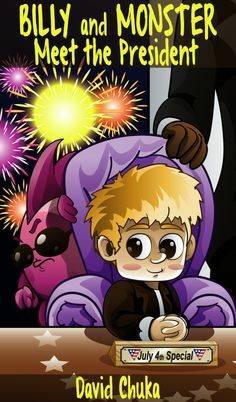 I love the characters!! I love seeing the toys come to life, organizing themselves, tackling problems. Great fun! I grew up in the country. We didn’t have any close neighbors. My friends were at school, a distance away. I would have LOVED for my toys to come to life, be my “real” friends, and have merry adventures with them. So definitely, Toy Story! What three things should a first time visitor to Pennsylvania do? Visit Amish Country. Lancaster, in northeast, PA, and Volant and New Wilmington in northwest PA, where I live, near, would be a cultural experience. It’s hard to believe that we have communities within our modern society that can exist and thrive without electricity and all the conveniences that the rest of us can’t live without! If you visit the Amish area, many of the locals have little shops in or near their farms. Visitors can purchase colorful handmade quilted items, homemade pastries and canned goods, plants, beautiful handmade furniture, and get your horse’s harness repaired at the same time! Pymatuning Lake. I grew up there, so I’m a little prejudiced. Pymatuning Lake is located in northwestern PA on the border of PA and Ohio. It is located within Pymatuning State Park and is the largest man-made lake in Pennsylvania. The lake is 18 miles long and has over 26 square miles of lake surface. In 1931, when my dad was 9 years old, he and my grandfather attended the ground breaking ceremonies for the lake. They saw the first shovel full of dirt removed that would later become Pymatuning Lake Reservoir. If you are an outdoors person, you can swim, hike, camp, fish, go boating, picnic, and explore. But make sure you don’t miss the Pymatuning Spill Way. That’s where you get to feed the fish! There are so many, the duck’s walk on their backs!! Pittsburgh, PA. It’s a cultural hub for all the arts and it’s the home of our three major league sports teams, the Steelers, the Penguins, and the Pirates. The Strip District is in downtown Pittsburgh and is a great market place filled with lots of people, cooking street vendors, markets with fresh produce, restaurants, places to shop, and the home of the Mancini breads and the Primanti Brothers’ famous super stuffed sandwich with French fries. Oh, and if you listen carefully, you’ll pick up some of the famous Pittsburghese language! Fun! With a background in teaching, can you give us a few tips on capturing a child’s attention and relaying a moral lesson? Phew – that’s a big question!! I may not answer your exact question, but here’s what came to mind as I reflected on it. Make learning fun! When kids are engaged, they will take more ownership for their own learning. Help kids develop confidence! I had very little confidence as a kid – all the way through adulthood. I recognized this weakness in myself, so I made it a goal to try to help develop confidence in my own children and my students. Kids have vivid imaginations. I’ve found that if kids can tap into their own creativity and develop ideas – without judgment – they will develop more confidence. Teach tolerance! Everyone, kids and adults, all of us, have gifts and talents. Our interests and abilities vary. We are not the same. I believe that we have all come here to share our gifts and talents, and to share our differences. How boring we would be if we were all the same!! Each one of us is an integral piece of a gigantic universal puzzle. What do your grandchildren think of Grammy Pags the Author? Our grandchildren are young – ages 7 to 1.5. The younger ones don’t know what an author is. However, our oldest grandson, Orion, totally gets it! Orion was the inspiration for the story, “Three Little Gnomes and a Boy Named Orion.” The story has changed from the original version I wrote in 2009. It’s longer and beautifully illustrated by Ratna Kusuma Halim of Indonesia. I had a book launch birthday party for “The Three Little Gnomes” book and Orion came to the event and signed books too! He was a star for the day and loved it!! What can we expect from Rhonda Paglia in the next 12 months? Have fun! Do what you love! Frustration is part of the game. Figure out why you are doing what you do, then figure out your goals, the reach for them. What happens if you don’t reach? A big NOTHING! But if you reach, anything can happen! The kid’s book market is crazy huge. Try to find your niche. I’m still searching for mine! Write what you like and HAVE FUN! For me, that’s my goal! Girls just want to have fun!! Well, this Grammy just wants to have fun too . . . and maybe give my readers a few smiles!! Hey, Rhonda! Love your philosophy: HAVE FUN! Couldn’t put it better myself. Wishing you all the best in the crazy world of children’s books! Cheers! Hi Sandra – Thank you so much for your kind words!! Yes, glows, tickles, rockin’ and readin’!! Blessings and thanks again! David, Thank you so much for the opportunity to be your Thursday / Thanksgiving Day / author! What fun! I’m amazed at how much of the interview you used!! Wow!! 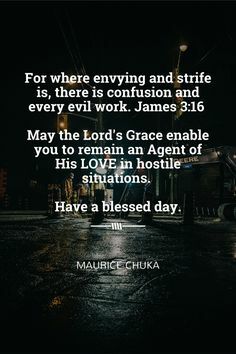 Blessings to you and your family!!! Keep rockin’ the books and thank you for encouraging reading, writing, and sharing!! Pleasure was all mine Rhonda. I have to admit that I’ll be coming back to read this interview at many points in the future as there is such a wealth of information and inspiration here. Looking forward to reading your upcoming titles. It’s has been great learning more about Rhonda. You and your mother must be very proud of how far you’ve come (from the 7th grader to a beloved author)!